What would have become of the famous writer Ernest Hemingway if he did not kill himself? The Hemingway Solution is a fictional novel that follows the life of Hemingway in the early 1960s as if he did not die in 1961. It follows Hemingway while he writes, attends bullfights, goes marlin fishing and goes big game hunting in Africa. 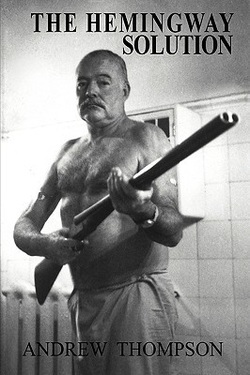 It draws on his past life experiences and works and is in keeping with Hemingway's persona as a masculine adventurer. The Hemingway Solution is a must read for Hemingway aficionados and anyone who enjoys action.